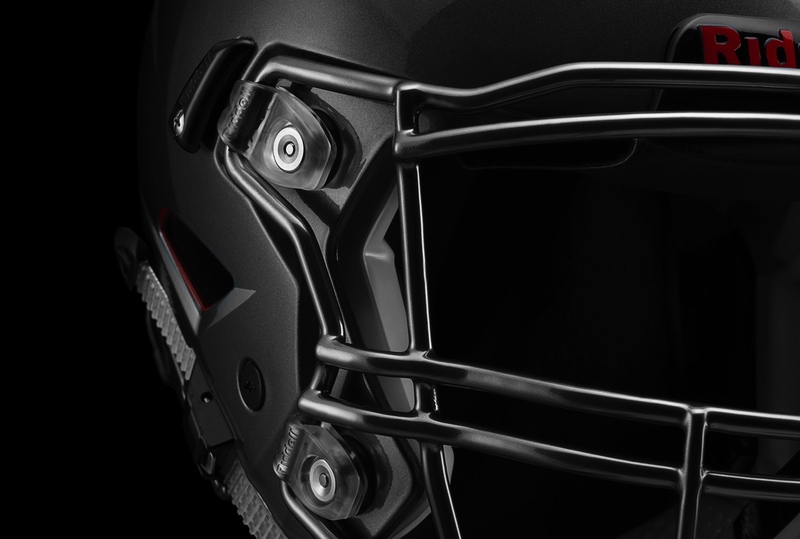 Riddell - Ecommerce "Game On"
Riddell, a leading producer of football helmets, equipment, and apparel, hired Harlo Interactive in 2014 to design and develop a new Magento supported eCommerce website. Harlo's objective was to improve user experience by developing a front-end and back-end eCommerce experience connecting customers to Riddell products. 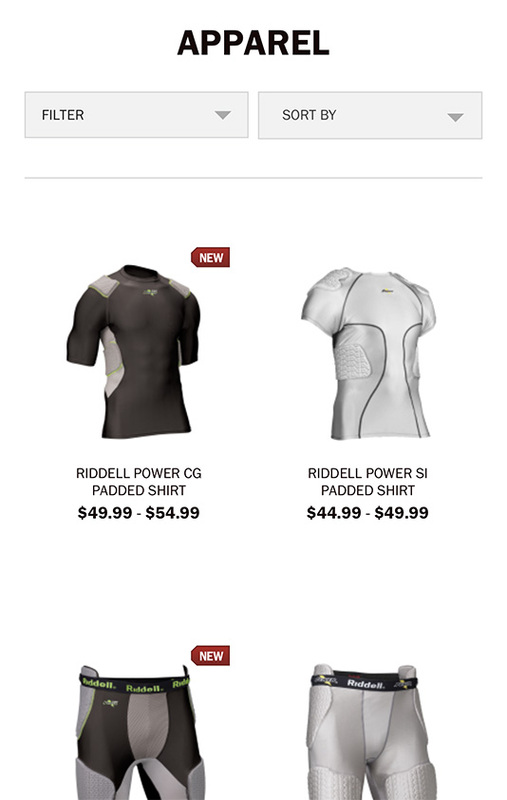 With a goal of improving user conversion rates, we started by creating enticing visual presentations of Riddell products and calls to action that led users to a convenient checkout experience. Product pages were redesigned to provide details on product information, player protection, product care, and reviews. Also included were instructional product videos and the ability for customers to customize their helmets. 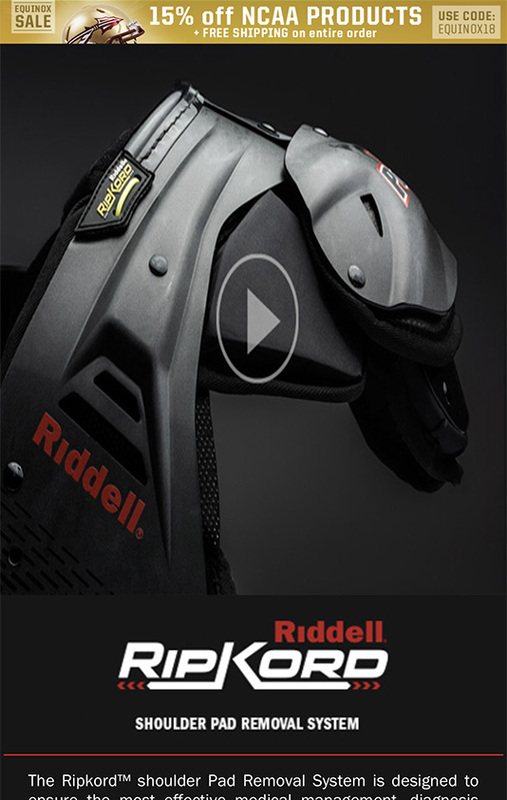 The finished product was a complete user experience with all the product education needed to purchase Riddell products online. 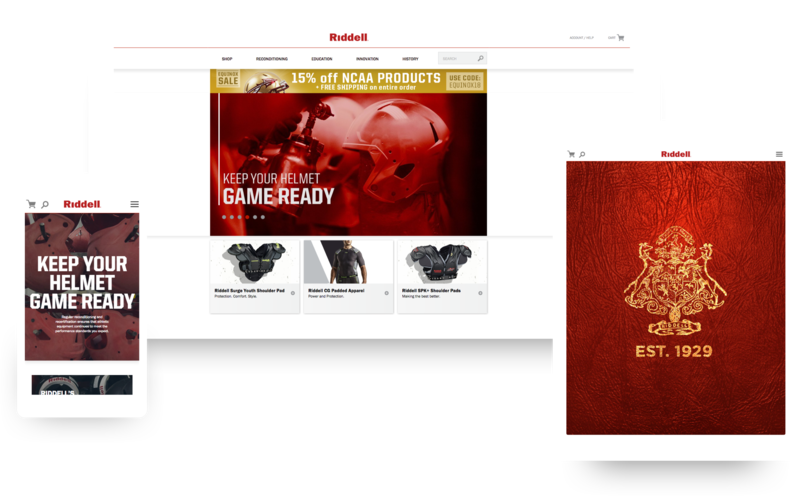 We challenged ourselves with Riddell's eCommerce website to build an experience that would last the test of time. 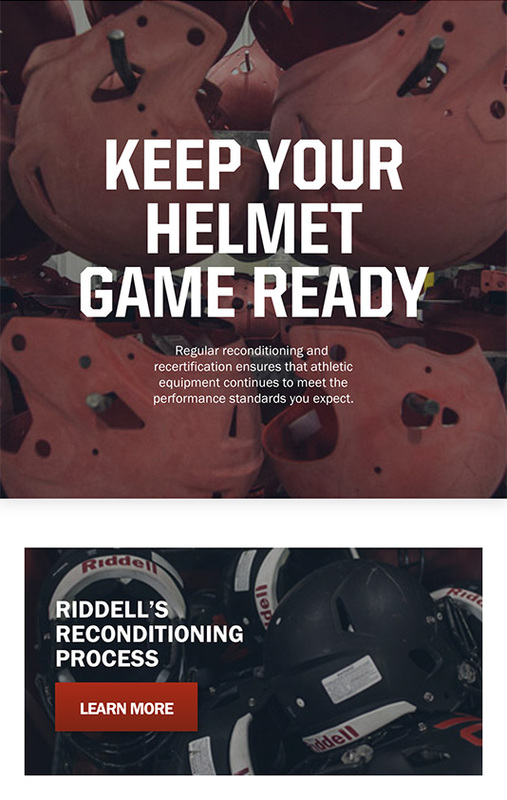 Staying away from flashy design trends and focusing on the products, brand, and user experience across screen sizes, helped us achieve our goal–providing Riddell with a solid return on their eCommerce website investment.